Community Beach Deck just steps away! 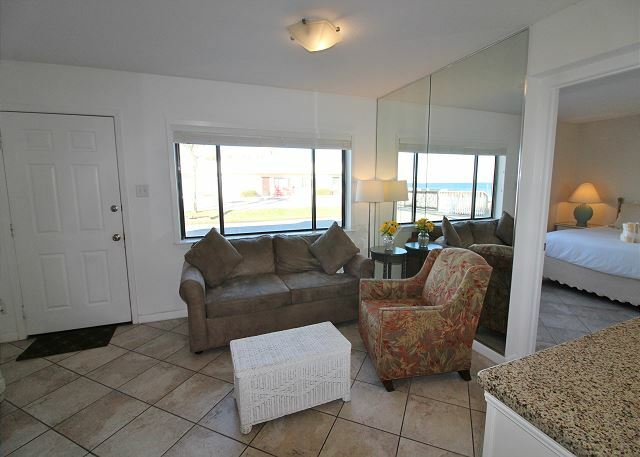 This unit is the closest to the beach on the east side of the complex. Enjoy cooking some of our local seafood in the newly remodeled kitchen. Great condo! Extremely clean and well-maintained property, excellent location, very friendly and helpful staff, condo close to restaurants and shopping. Already booked for a return visit! 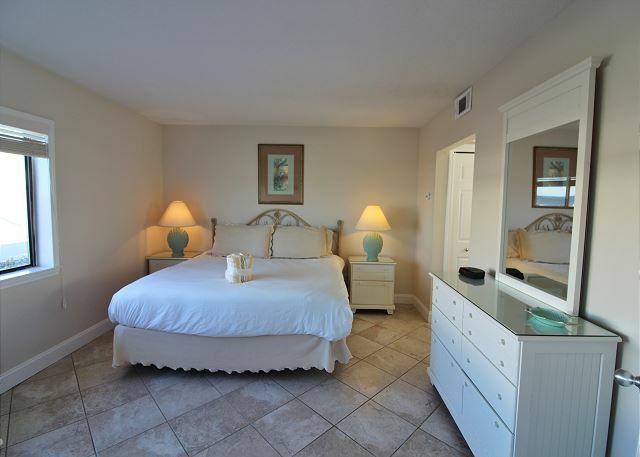 Thank You for sharing your review for Capri by the Gulf #106 in Destin, FL. 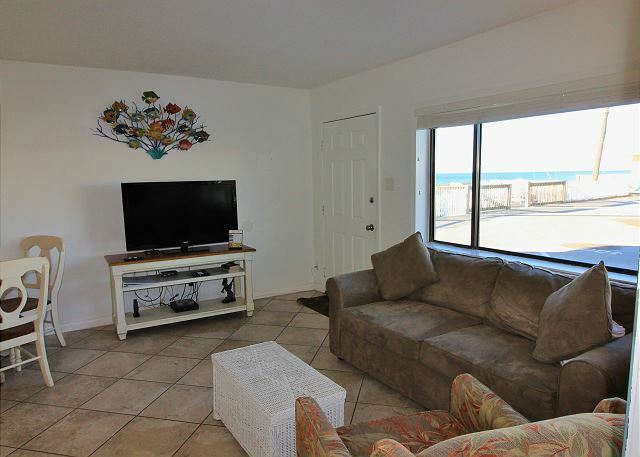 We are so pleased to hear that you had a Fabulous beach vacation stay in this beautiful beach front condo, and that you so enjoyed the great location nearby area shopping and dining! We thank you for your kind words for our team. We appreciate that! We look forward to welcoming you back for your next stay with us here at the Capri in beautiful Destin, FL! I only wish that the staff at every place we stay was as good as the folks in the office here. Every time we had a need, they helped us and even forgave my loss of a key. Most places are not so generous. They are the reason we keep coming back year after year. Thank you for sharing your review for Capri by the Gulf #106. 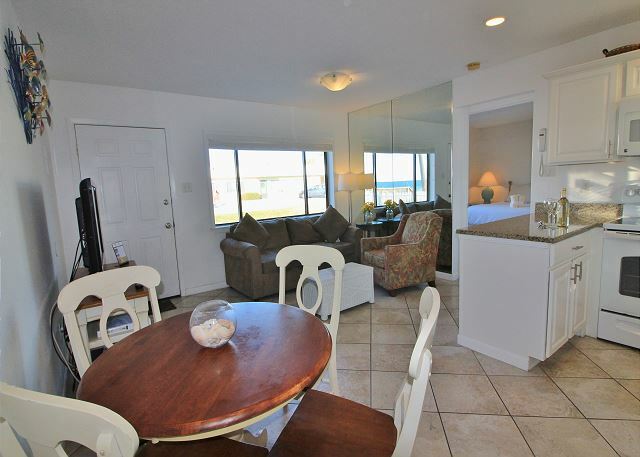 We are so pleased to know that you all had an enjoyable stay with us here at the Capri and that you so enjoyed this beautiful beach front condo! We thank you for your most kind words for our team, we very much appreciate that, and we will pass along your compliments to our Capri staff. Our team greatly values knowing that their efforts were noticed and appreciated by our wonderful guests such as yourselves. Thank you! We hope to welcome you all back again very soon for another stay with us here at the beach in beautiful Destin, FL! We have stayed at The Capri on several Vacations and have always been very pleased. This particular unit was excellent. Well maintained and very cozy. This is our home away from home. Thank you for sharing your review for Capri by the Gulf #106. 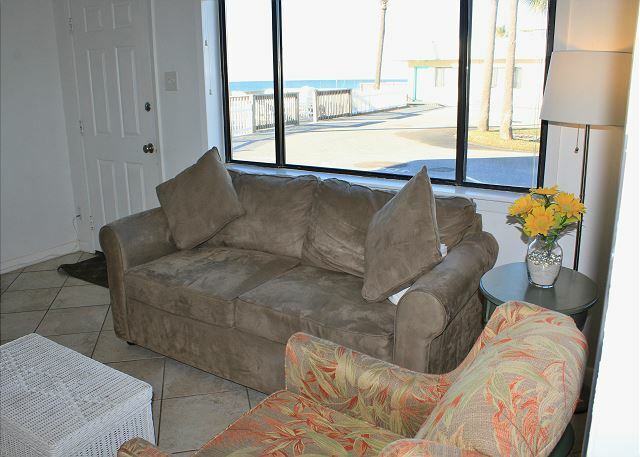 We are so pleased to know that you all had another wonderful stay at the Capri and that you particularly enjoyed this beach condo and found it cozy and well maintained. We hope to welcome you all back again soon to your 'home away from home' at Capri by the Gulf in beautiful Destin, FL! 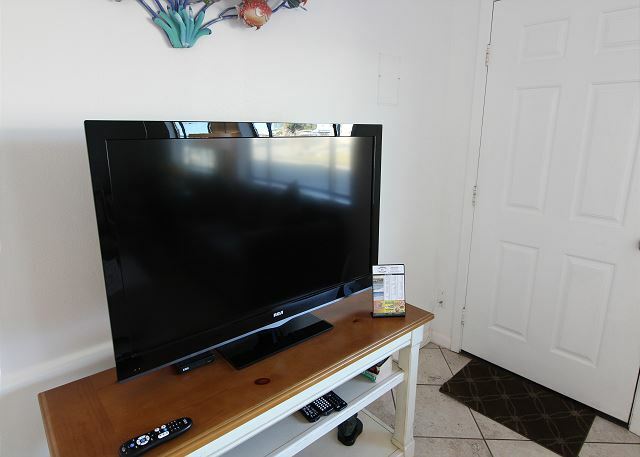 This unit was perfect, it’s has everything you need to make your vacation a Great one! The location is good and the water is so close! I will make the Capri my new vacation home! Thank you Harmony Beach Vacations for making our stay a Great stay!! Thank you for sharing your review for Capri by the Gulf #106. 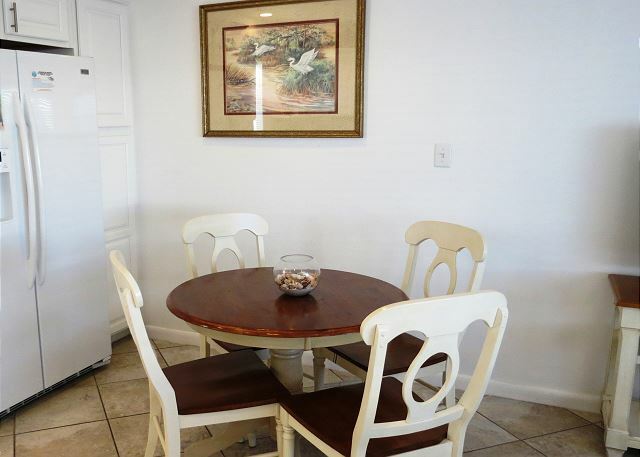 We are so pleased to know that you all had a great beach vacation stay in this beautiful beach front condo and that you so enjoyed being in this wonderful location by the Gulf! 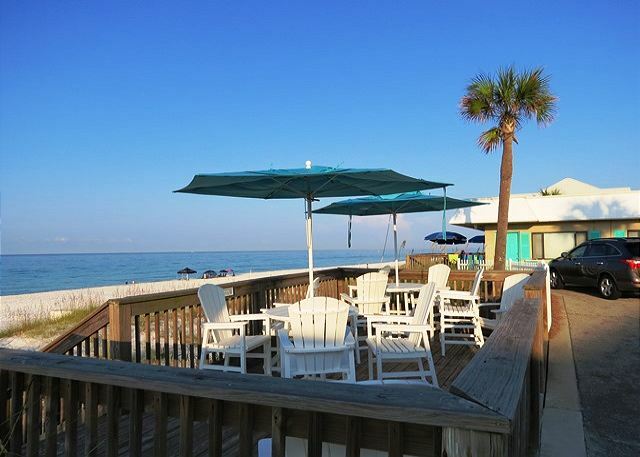 We thank you for staying with us and we hope to welcome you all back again soon as our guests for another perfect beach vacation stay at your new vacation home, here at Capri by the Gulf in beautiful Destin, FL! Thank you for sharing your review for Capri by the Gulf #106 in Destin. 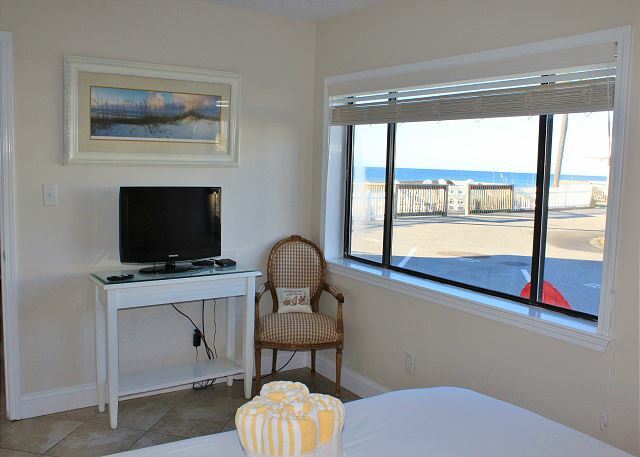 We are very glad to know that you had such a pleasant stay at the beach in this beautiful home! We hope to welcome you back to the beach soon, as our guests, here in beautiful Destin, FL! Right on the beach, so clean and comfortable and much more than I ever expected! Thank you for sharing your review for Capri by the Gulf #106. We are so pleased to know that you so enjoyed your stay in this beautiful beach front condo and that your expectations were exceeded! We hope to welcome you back again soon as our guest for another wonderful beach vacation stay with us here at the Capri in Destin! Had a great vacation for the 3rd year in a row @ the Capri in Destin! We have already rescheduled for next year! 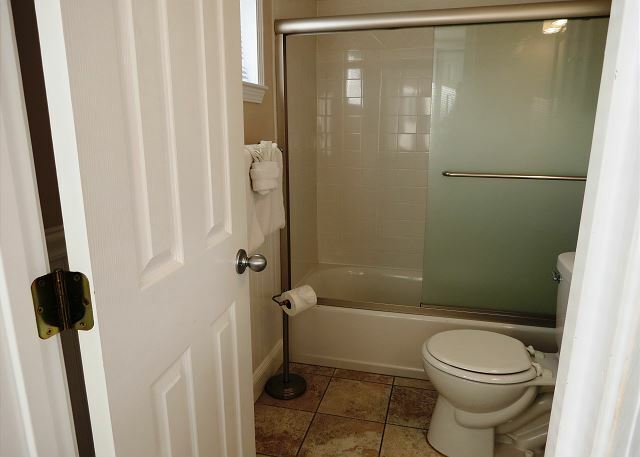 Did notice the towel bar in the bathroom needs repair. It falls apart regularly. Thank you for sharing your review for Capri by the Gulf #106. We are delighted to know that you all had another wonderful beach vacation stay with us here at the Capri and we look forward to welcoming you all back again soon! Thank you for sharing the info about the towel bar. We will check into that. See you all next time here at the beach in beautiful Destin! We had a great 5 days in unit 106. The unit was clean and functional fo all our needs. If there was any negative it was with the skillets. They were well used and could stand to be replaced. We had a great time and the weather cooperated with us for the time of the year we were there. We'd highly recommend Capri by the Gulf. Thank you for sharing your review of Capri by the Gulf #106. We are happy to know that you all had a great vacation stay and that you enjoyed the beautiful April weather! We appreciate your suggestion about the skillets and we will check into this. We regularly update such items. We would have gladly brought you by new skillets or anything you needed for your stay. We hope to be welcoming you all back again soon for another wonderful beach vacation stay with us here at the Capri in Destin! Beautiful sunsets are like snowflakes, no two are ever alike. We have been coming to the Capri for over ten years and look forward to next year. The staff is wonderful. We have met wonderful visitors year after year. You can not beat the sunsets. Try it, you'll will love it. Thank you for sharing your review for Capri by the Gulf #106. Thank you for your kind words for our staff too! We always enjoy having you all as our guests over the winter months and we're so happy to know that you all had a wonderful stay with us again this year! We look forward to having you all back again real soon as our guests here in beautiful Destin, FL for many more beautiful Sunsets to come! We were at the Capri for the month of November. It was a very relaxing month. Unit #106 was clean and comfortable. The staff were warm and welcoming. Thank you for sharing your review of Capri by the Gulf #106. 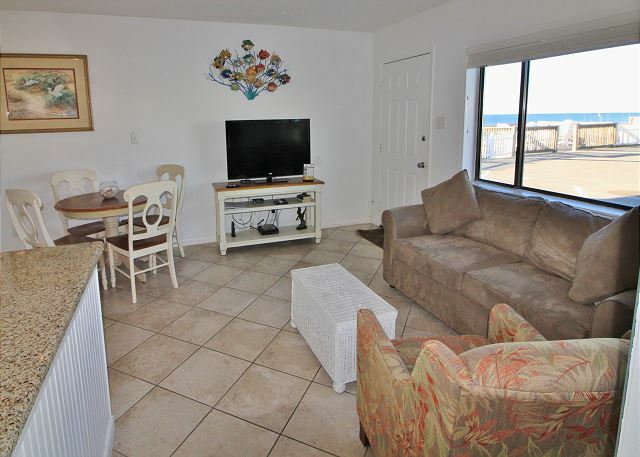 We are so pleased to know that you all had such a pleasant stay with us in this beautiful beach front condo and that you enjoyed the wonderful beach sunrises and sunsets! Thank you for your kind words for our team, we're delighted to have you as our guests! We look forward to having you all back soon for another stay with us! Thank you for sharing your review of Capri by the Gulf #106. We are delighted to know that you all so enjoyed your stay with us and we hope to welcome you all back soon as our guests at the beach in beautiful Destin, FL! Thank you for your review. We are delighted to know that you had a perfect Honeymoon at Capri by the Gulf #106! We hope to welcome you all back for many more happy memories yet to be made here at the Capri in Destin! We absolutely LOVE our vacations at the Capri! This was our 6th year to stay at the Capri, we have stayed in 102, 105, and 106-each unit is wonderful but would love to see ceiling fans put in 106 as I think it would help circulate the air better and the AC wouldn’t have to run so hard-it got rather hot during the day. We love coming in August as the beaches aren’t overly crowded and the Capri is just the spot relax on the beach with the provided beach chairs and umbrella. The folks a Harmony are always lovely and helpful. Please don’t ever change the CAPRI, it is perfect just the way it is. Thank you for sharing your review for Capri by the Gulf #106. We are so pleased to know that you had another wonderful stay with us at the Capri and we appreciate having you as our guests over the years! We thank you too for your suggestion; we love to hear what our guests have to say about our vacation rentals. We thank you for your kind words for our staff; it's great to hear that our efforts to please our guests are appreciated and noticed. We hope to welcome you all back soon for another wonderful beach vacation stay with us here at your Happy Place at the Capri in Destin! A perfect vacation, like always! Everything was absolutely perfect! This was our 3rd time staying at the Capri in unit 106, we stay there every time we visit and will absolutely most definitely be returning! Harmony has done a wonderful job at making sure everything is perfect! Thanks again, y'all!! We'll see you next time...hopefully in November for my birthday!!! Thank you for sharing your review for Capri by the Gulf #106. We appreciate having you all as our guests over the years and we are so pleased to know that you had another perfect beach vacation stay with us here at the Capri! We thank you for your kind words for our team, and we're so happy to hear that you appreciate our efforts to make everything perfect for you! 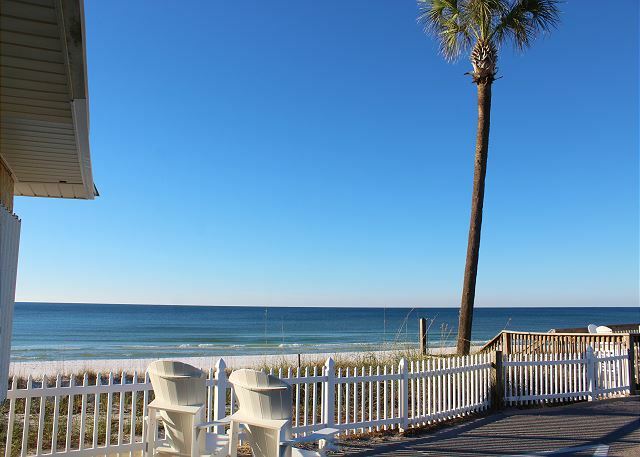 We look forward to having you all back soon for another wonderful beach vacation stay here at the beach in Destin! We have been staying at Capri since 2005 and it remains our favorite! Everything was great as usual. Thank you for sharing your review for Capri by the Gulf #106. We are so happy to know that you all enjoyed another wonderful beach vacation here at your favorite vacation place, and we so appreciate having you all as our guests over the years! We look forward to seeing you here at the Capri in Destin again real soon! Thank you for sharing your review for Capri by the Gulf #106. We are pleased to hear that you all had a good stay with us and that you enjoyed yourselves! We hope to welcome you all back soon for another beach vacation stay with us here in beautiful Destin, FL! Thank you for your review for Capri by the Gulf #106. We are so pleased to hear that you had a great stay in this beautiful condo and we would love to welcome you back soon for another wonderful beach vacation here in Destin! Had a very good time at the Capri! Beautiful location,very friendly and helpful staff!! Would recommend it to all my friends!! Thank you for sharing your review for Capri by the Gulf #106. We are so happy to know that you had a wonderful stay with us at the Capri in Destin for your motorcycle trip! We would love to welcome you back again along with your friends as our guests here on the beautiful Beaches of the Emerald Coast! We love coming here, and have for the past 35 years. Thank you for sharing your review for Capri by the Gulf #106. We very much appreciate having a Capri Veteran such as yourself as our guest over the years! We're so pleased to know that you so love coming to Capri by the Gulf, and we hope to see you here again real soon! AS usual our rental experience was exceptional. We loved our unit and all the trimmings. Hated the weather so its a good thing our condo was great. Thank you for sharing your review. We are so happy to hear that you so enjoyed this beautiful home! We are sorry that the weather wasn't what you'd hoped for. We hope to welcome you all back again soon as our guests! Like a blast from the past ,really convenient. Thank you for sharing your review for Capri by the Gulf #106. We are so happy to know that you so enjoyed your stay with us! We hope to welcome you back soon as our guest in Destin, FL! My husband and I really enjoyed our time at the condo. We were very close to the beach and had a lot of space between our umbrellas and chairs that were provided every day. The condo was fine and it was close to anything we needed to go to. We'd would recommend this place to anyone! It's a little piece of paradise and looking forward to staying there again. Thank you for sharing your review for Capri by the Gulf #106. 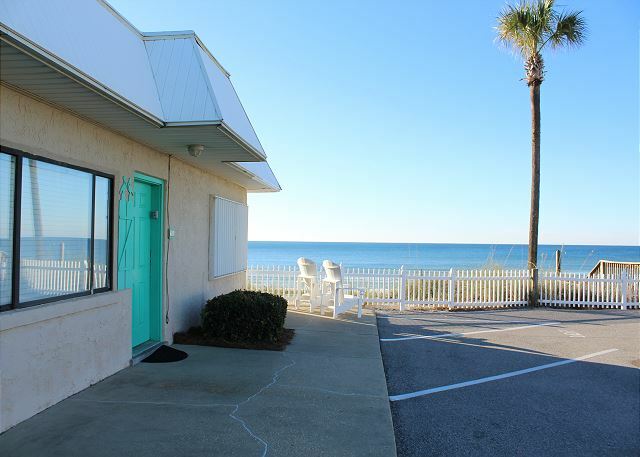 We are delighted to know that you all so enjoyed your stay in this beach front condo, the surrounding area, and the complimentary daily beach service! 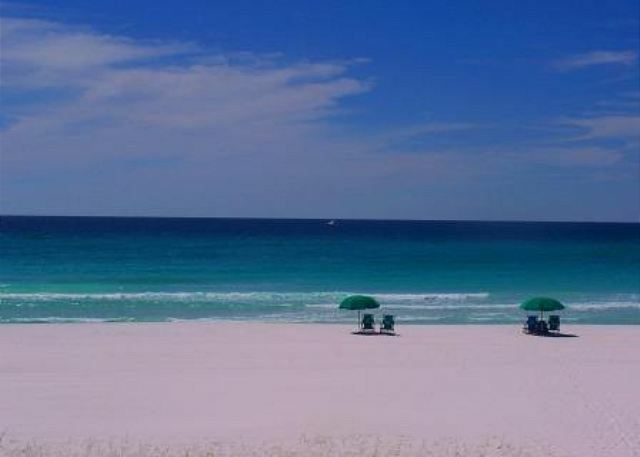 We hope to welcome you all back soon to your own 'little piece of paradise' here at the beach in beautiful Destin, FL! Sunsets are like snowflakes no two are alike. Wonderful weather and great place to relax and refresh yourself. Thank you for sharing your review for Capri by the Gulf #106. We enjoy having you all as our guests and we are so happy to know that you enjoyed yourselves! We look forward to having you back again here in Destin real soon! Been coming for ten years. Each year we enjoy the sparkling gulf water and white sandy beaches that you call home. Thank you for sharing a true treasure. Thank you for sharing your review for Capri by the Gulf #106. We appreciate having you all as our guests over the years and we are delighted to know that you all had such a wonderful stay with us! We hope to welcome you all back soon to your home away from home here in Destin, FL! Thank you for sharing your review for Capri by the Gulf #106. We appreciate having you as our guest and we are so pleased to know that you had an Awesome time on your vacation stay with us! We look forward to welcoming you back soon as our guest in beautiful Destin! A lovely getaway spot by the ocean. Furniture in living room quite uncomfortable, but all else was stellar. Thank you for sharing your review and feedback. We appreciate having you as our guest in Destin and we are delighted that you had a lovely getaway! We share our guests feedback on vacation homes with homeowners so that they may consider this when making updates. We thank you again and we hope to have you back real soon for another beach vacation with us! When we arrived we were very impressed with the location and the inside of our place. It was truly SO nice!! We loved we were 8 steps away from looking at the ocean, we could view the ocean from every single window and it was truly the best hidden secret. We definitely will be back over and over! Thank you for sharing your review for Capri by the Gulf #106. We are so pleased to hear that you all enjoyed this beautiful home with all the Gulf Views, and the beach being just steps away. We are glad you found this secret spot and we would love to welcome you alll back again and again as our guests at Capri by the Gulf! Clean, newly remodeled & quaint. If you're looking for rowdy...look elsewhere. If you want a pool...nope, not here. Watch for their coupons! Thank you for sharing your review. We are delighted that you had an enjoyable stay with us at Capri by the Gulf #106! We hope to have you back soon as our guest in Destin! Thank you for sharing your review. We are happy to hear that you had a good stay with us at Capri by the Gulf and we would be happy to have you all back soon as our guests in Destin, FL! A second summer of having a week of fun with friends also staying at the same property. During peak season it makes it so much better to have this place with a private beach, with chairs and umbrella provided, with a condo that you drive right up to in your own assigned spots, with a deck and grills to share, and steps right down to the beach day or night. Anything else you needed was within just a mile or two including a helicopter ride down the beach. It couldn't be any easier to enjoy time in Florida. Thank you for sharing your review. We are delighted to hear that you all had such an amazing vacation in Destin, FL and that you so enjoyed Capri by the Gulf! We hope to have you all back soon as our guests on the Emerald Coast! We stayed at the Capri for the first time and had a positive experience. The only drawbacks were no ceiling fans or exhaust fan in the bathroom for the shower. The unit was very neat, updated, and clean and had everything we needed for a comfortable stay. We felt safe and secure! Will definitely stay there again. Thank you for your review. We appreciate having you all as our guests at Capri by the Gulf #106 and we're delighted to know that you all had a pleasant stay with us at the Beach! We thank you for your suggestions for the fans and we do share guests' feedback with homeowners for them to consider. We hope you all will be back soon as our guests in Destin, FL! We appreciate having you as our guest and for sharing your review! We would love to have you back to Capri by the Gulf #106 just as soon as you can come! We have been coming for many years and as we leave we talk about our return. Our unit is great. If the picture is showing New chairs outside, hoorah. Five stars to the harmony staff and to owners you own a piece of paradise. Very nice. Loved our condo and access to the beach was great. Loved that it was not overly crowded. We have been staying at the Capri for over 20 years! We have been staying at the Capri for over 20 years and have never had a bad experience. The units are always clean and well kept. 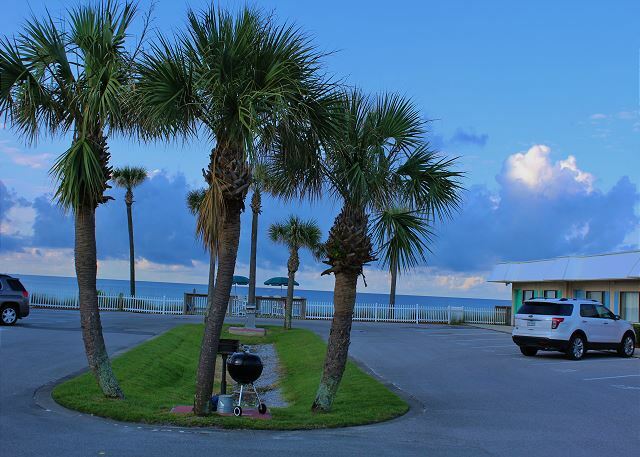 We love the fact that we can park right in front of our condo and walk to the beach. We also enjoy the decks every morning and evening. This is always a quiet, low key place to stay. Thank you for sharing your review. We love accommodating our very special guests such as yourselves who have been coming to the Capri for many years! We are delighted that you enjoyed your stay and we welcome you back many more times to come! 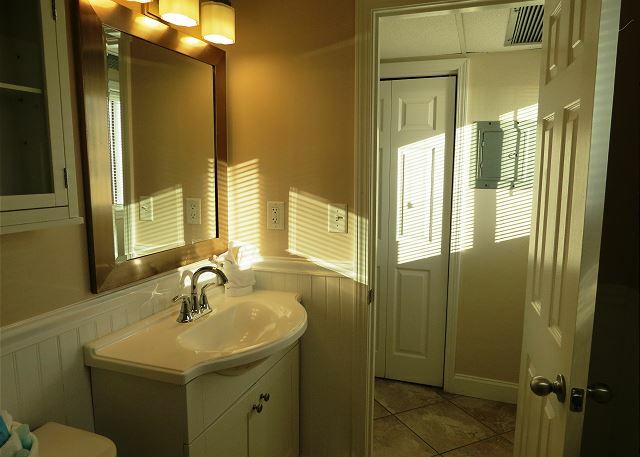 The Capri unit 106 in Destin was exactly what we were looking for. A small property without the high rise commotion on the beach. The location was great. 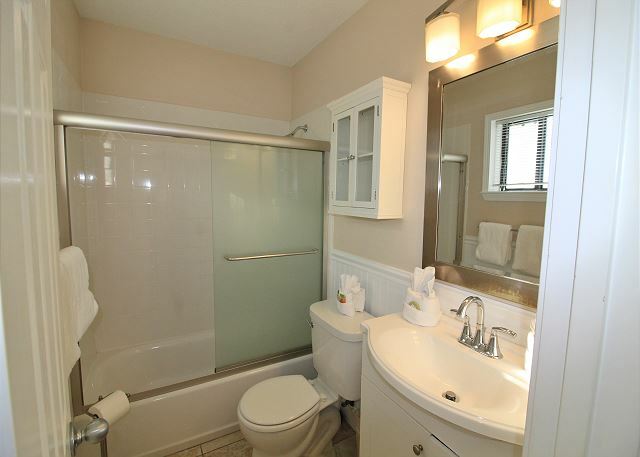 The unit was very nicely maintained and clean. The bedroom had a lovely and comfortable king bed. We would definitely stay here again. 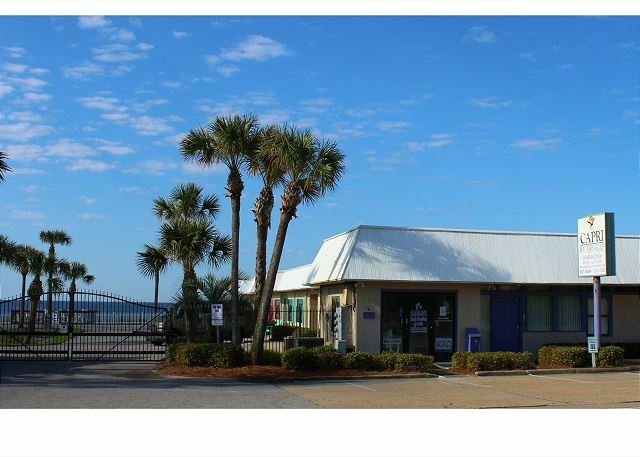 We LOVE the Capri by the Gulf location! This is the third year we have stayed at this location and keep returning for the awesome location and facilities. The best thing about our stay is the private beach. 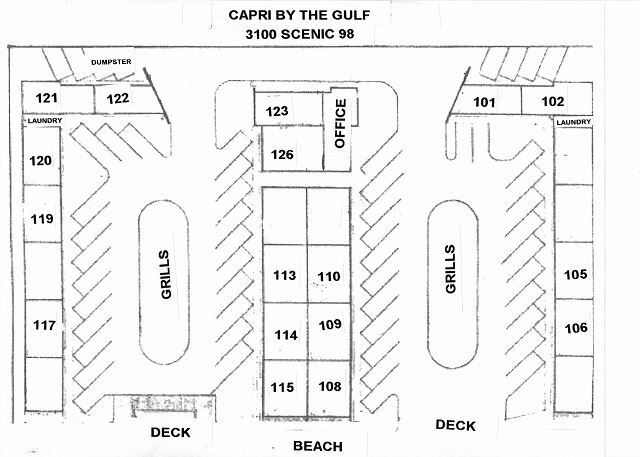 Because the Capri by the Gulf is a one story condo facility, the beach is not crowded as with other high rise locations. You literally back your car to the door for easy unloading. No need to drag your beach gear up and down an elevator or across the street. The beautiful gulf is literally right outside your door. 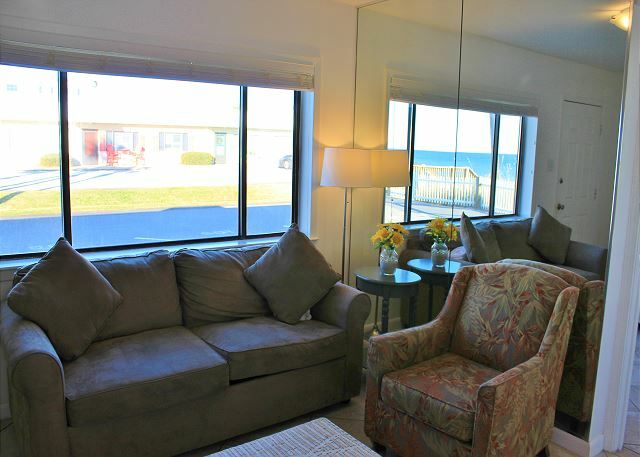 The staff is always friendly and helpful and the condos have everything you need for a comfortable stay. Each unit is individually owned, so be sure to look on-line for the most updated units. Unit 106 has a new kitchen and bath. Very nice! We had a fabulous vacation and can't wait to go back. Thank you for sharing your review. We are so pleased that you all enjoyed your stay so much and we appreciate having you as our guests over the years. Thank you for adding details that future guests can consider when booking their beach vacation. We look forward to having you back soon as our guests at the beach! 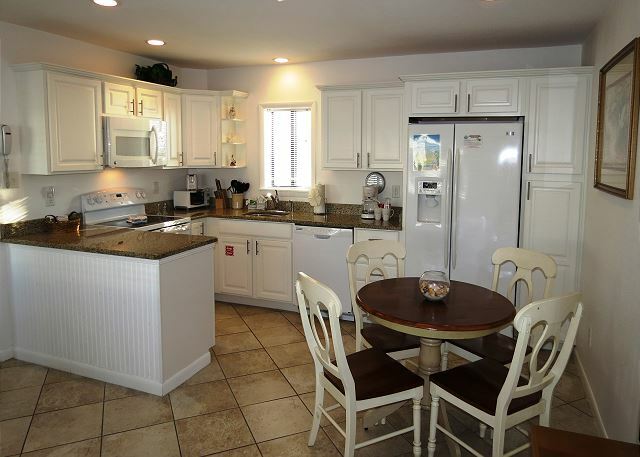 Capri 106 is a great place to stay! We stayed there for 10 days and 106 met all of our needs and expectations. It had nice furnishings, linens, and kitchen utensils. Upon arrival it was very clean and they had a bottle of wine waiting for us. It is literally steps for the beach! A lot of people advertise their condos as "steps from the beach", but they are sometimes many, many steps from the beach. 106 has the deck and steps that go down to the beach right out the front door. The private grounds were very quite and so was the private beach. 2 reserved parking spots right out the front door. The 2 free beach chairs/umbrella rentals was a money saver. No need for a balcony at 106. Just pull the chairs to the white picket fence and prop up your feet, or hang out on the deck! We will be back! BTW there was 3 of us that stayed here for ten days. My wife and I and our 4 yo son. Easiest and most pleasant reservation as well thanks to Edward! Thank you for sharing your review. We are so delighted that you all enjoyed your stay so much! Thank you for adding the details about this condo that future guests can consider when booking their vacation stay too. We appreciate having you as our guests and we look forward to having you back soon! It couldn't have been better! Thank you! Thank you for sharing your review. We appreciate having you stay with us and we're so glad you all had a pleasant stay! We hope to have you back soon as our guests in Destin! We enjoyed our stay as always. This particular rental was a little warm for us temp wise. Even with the unit on 70 degrees it was a little uncomfortable. The unit didn't have ceiling fans either. The kitchen had little ants everyday which is probably common. We just kept all our snacks in the fridge. 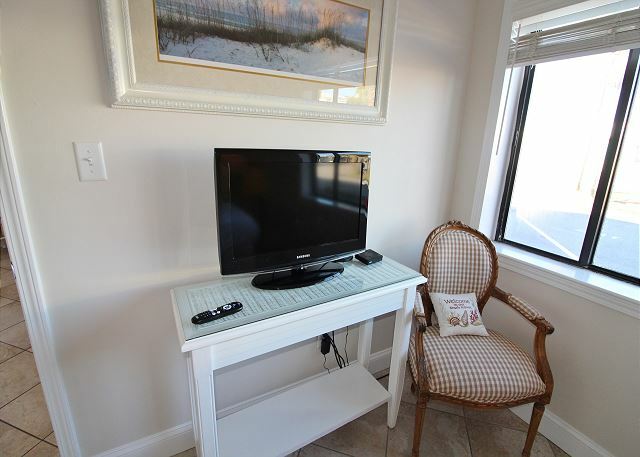 Overall, the Capri is still our favorite place to stay in Destin. Great location,friendly staff and beautiful views right outside our room. The place was as described and we had a great time. I have stayed at this place before and will definitely be returning. Thank you for sharing your review! We appreciate having you stay with us as our valued returned guests and we look forward to your next stay with us at the Capri! This is a great place for couples. We will definitely return! Great location, drive up to unit and unload at your door take a deep breath and enjoy. The view can not be duplicated. Beautiful beach, sunsets are to die for. Staff and owners of Harmony are great and make you feel welcome. Can't say enough. Biggest worry is that the owners will sell out. They have something special. Love the deck for sunsets and meeting great people from all over the USA and Canada. Have made many friends. Thank You for your kind words! We love having you guys in Destin and we look forward to many more years of memories! We had a wonderful vacation and will definitely be back to Capri By The Gulf. Our condo was very clean and we loved the way it was decor. We would highly recommend Capri By The Gulf for your vacation. We ate at Melting Pot and Tuscany Italian Bistro. Wonderful food and service at both places. We enjoyed our stay. 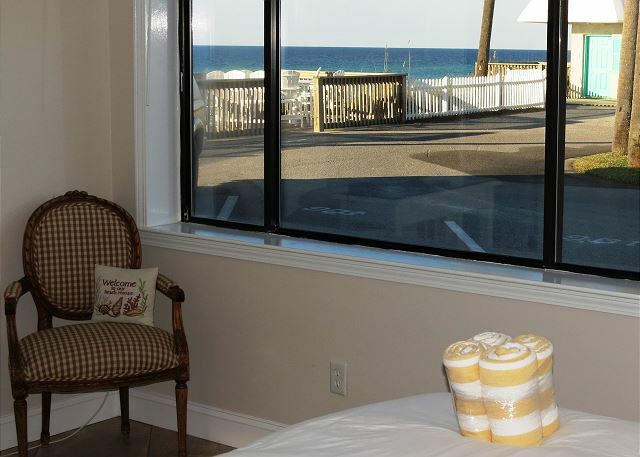 The room was clean, bed was comfortable, staff was nice and helpful, we were right on the beach. Weather was perfect when we were there! My only complaint would be the key to the condo, it was hard to get the door open. But other than that it was great!! Cant wait to go back.